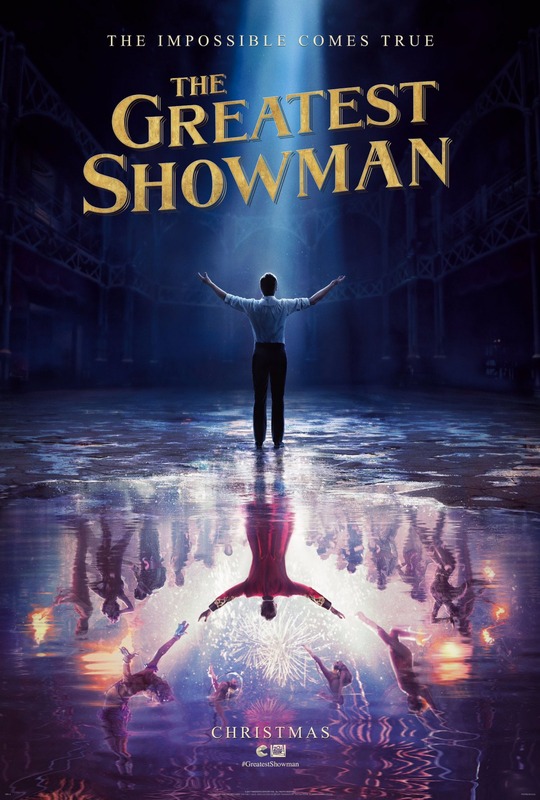 Chrichton's World: Review The Greatest Showman (2017): Destroys La La Land in every way and yet gets less appreciated! Review The Greatest Showman (2017): Destroys La La Land in every way and yet gets less appreciated! On a whim I decided to watch The Greatest Showman. I was a bit occupied with other matters until the film got to me. Somehow one plot element resonated with me so much that I felt compelled to get invested. Now I am not going to say that this ia a masterpiece and it's the best musical ever. It certainly has some flaws. But it has two things that hyped up La La Land didn't have. Heart and very catchy, well choreographed musical numbers. There is no contest. The fact that La La Land got all the praise and this one got shunned by critics is beyond me. As simple as the story was it had a beginning, middle and end. All of the characters of importance went through some character development and left things one a positive note. Bitter sweet and cynical endings have no place in musicals unless there are other factors that make it stand out. But even then it defies the purpose of most musicals. They are there to lift the spirit up aren't they? And this is what The Greatest Showman does. Especially the song This Is Me is a good example of this. It's not just a song you listen to and then say it's nice. No, it's a song that grabs you, inspires you to the core and makes you weep with joy. Name me one song in that overrated piece of crap called La La Land that has that effect. Most of the musical numbers also make good use of the talents and skills involved plus is not afraid to mash it up with extremely stylish special effects. Making look everything immensely more beautiful and spectacular. Speaking of talents. The Greatest Showman points out the huge difference it makes when you actually have people who can sing and dance unlike Ryan Gosling and Emma Stone. The Greatest Showman may feature a real historic figure. It never pretended to be an accurate and true to fact representation of that figure. So to then call out the film for misrepresentation of that figure is stupid. BTW PT Barnum played by Hugh Jackman is not your traditional good two shoes hero. He very much is a douche bag and someone who exploits people like the real one. Except he redeems himself somewhat in the end. And what exactly is wrong with that? It's like critics are just looking for things to hate on when they are struggling to find any. The story does take a few illogical jumps and goes through events in lightning speed. Then again which musical is not guilty of this? But at least that is legitimate criticism I can stand by. Ignore the naysayers and watch this film. It will be well worth your time as it will lift your spirit and will make you feel real good at the end.